From award-winning documentary filmmaker E. Chai Vasarhelyi (Meru) and world-renowned photographer and mountaineer Jimmy Chin comes National Geographic Documentary Film's Free Solo, a stunning, intimate and unflinching portrait of the free soloist climber Alex Honnold, as he prepares to achieve his lifelong dream: climb the face of the world's most famous rock...the 3,000ft El Capitan in Yosemite National Park...without a rope. Celebrated as one of the greatest athletic feats of any kind, Honnold's climb set the ultimate standard: perfection or death. 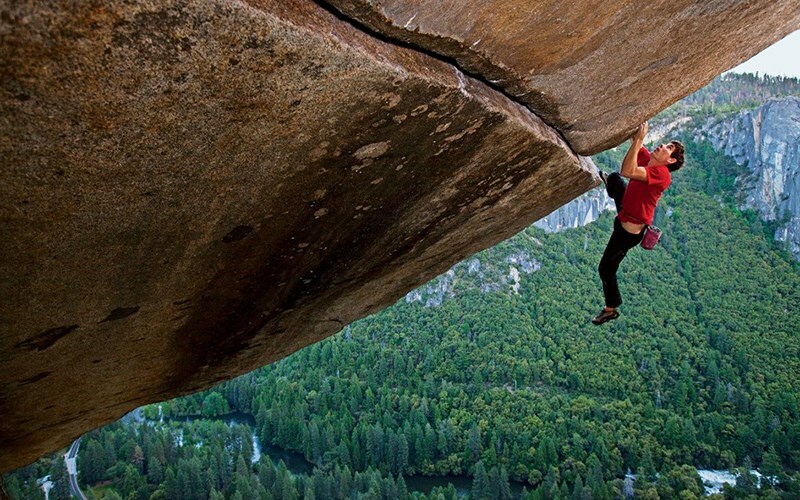 Succeeding in this challenge, Honnold enters his story in the annals of human achievement. Free Solo is both an edge-of-your-seat thriller and an inspiring portrait of an athlete who exceeded our current understanding of human physical and mental potential. The result is a triumph of the human spirit.